Farallon Capital, led by Thomas Steyer, recently filed its latest 13F with the Securities and Exchange Commission, revealing an equity portfolio worth $7.6 billion at the end of the third quarter. According to the filing, Farallon Capital acquired stakes in over 20 companies, while reducing its holdings in ten stocks. Furthermore, the investor unloaded its entire stake in more than 35 companies, including Hospira Inc. (NYSE:HSP), during the difficult quarter for investors. 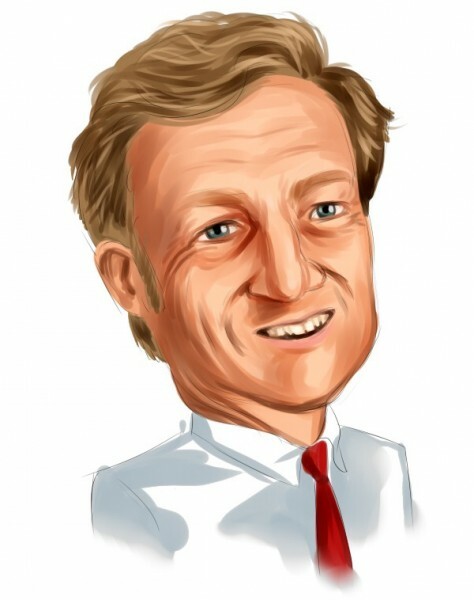 Founded by Thomas Steyer in 1986, Farallon Capital is one of over 700 hedge funds tracked by Insider Monkey. The fund makes investments in economies around the world, including both developed and emerging markets, and public and private debt. Mr. Steyer uses a variety of strategies, include credit investments, value investments, event-driven investments, merger arbitrage, real estate investments, and direct investments, employing them on an opportunistic basis. In this article, we will be taking a closer look at Farallon Capital’s top stocks for the third quarter, starting with search engine giant Google’s parent company. Farallon Capital increased its position in Alphabet Inc (NASDAQ:GOOG) by 116% during the quarter, which shows its confidence in the stock, which has increased by 27.17% since September 30, and 43.73% year-to-date. Alphabet Inc (NASDAQ:GOOG) is making a bigger move into cloud-computing, as the company recently hired Diane Greene, former boss and co-founder of VMware, Inc. (NYSE:VMW), to lead its cloud-computing business. This indicates that the company is getting serious about cloud-computing, where it will face tough competition from big players Amazon.com, Inc. (NASDAQ:AMZN) and Microsoft Corporation (NASDAQ:MSFT). Google CEO Sundar Pichai said in a blog post that “this is an important and fast-growing area for Google and we’re investing for the future.” Another investor betting big on Alphabet Inc (NASDAQ:GOOG) is Andreas Halvorsen’s Viking Global, which held 2.53 million shares as of the end of the third quarter. Farallon Capital cut its stake in Allergan PLC (NYSE:AGN) by 24,873 shares during the quarter. Shares of Allergan’s stock surged by 3.68% on Friday on rumors that Allergan and Pfizer Inc. (NYSE:PFE) are going to enter into a merger agreement on Monday. Some unnamed people told Bloomberg that Pfizer can make a bid of $370-to-$380 for each share of Allergan in a deal valued at around $150 billion. The merger will allow New York-based Pfizer to move its headquarters to Ireland, where Allergan is registered. This move would allow Pfizer to save billions of dollars in taxes. Year-to-date Allergan PLC (NYSE:AGN)’s shares have increased by 21.53%. Billionaire activist investor Dan Loeb of Third Point was holding 3.67 million shares of Allergan as of the end of the third quarter. We will be analyzing Farallon Capital’s top three stocks on the next page. What Top Investors Think About Vocera Communications Inc (VCRA) Should You Buy Supernus Pharmaceuticals Inc (SUPN)? Is Anworth Mortgage Asset Corporation (ANH) Going To Burn These Hedge Funds... Do Hedge Funds Love Del Taco Restaurants Inc (TACO)? Tutor Perini Corp (TPC): Hedge Fund Ownership Diminishing Is DryShips Inc. (DRYS) Going To Sink These Hedge Funds?